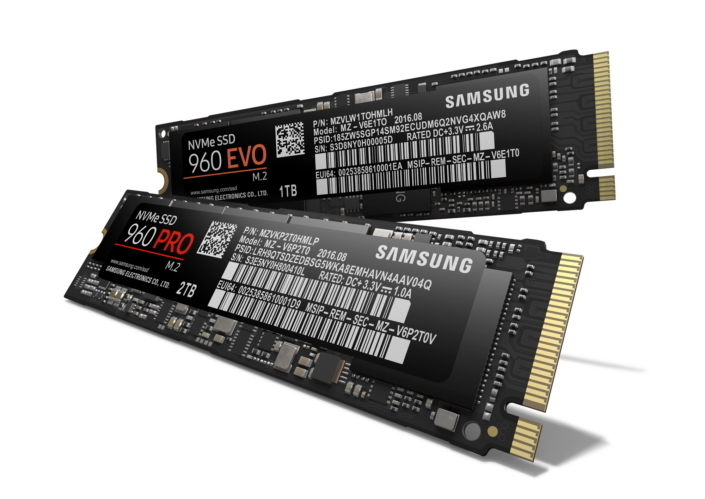 Samsung today unveiled its 960 PRO and 960 EVO, its newest solid state drives and are based on the M.2 form factor. Let us take a look at the details of these SSDs, as well as their pricing to see what level of performance they offer in comparison to its predecessors. “For more than 30 years, Samsung has continued to push the boundaries of what is possible to deliver innovative consumer memory experiences. Our V-NAND technology for NVMe-based storage products is our most recent advancement in the NVMe era. 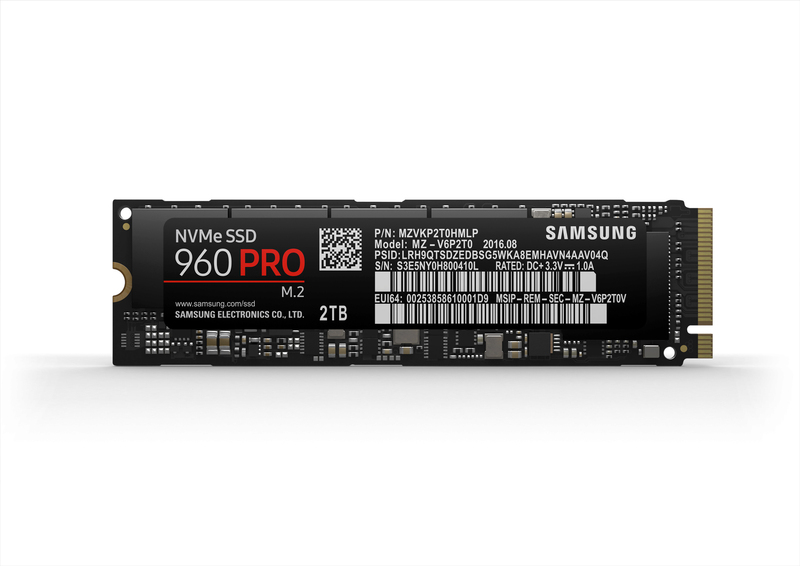 We were proud to erect the NVMe era last year with the introduction of our 950 PRO SSD. Now, with the introduction of the NVMe 960 PRO and 960 EVO SSDs, Samsung is once again taking the next step in the multi-terabyte SSD technology and the storage revolution, providing users higher capacities and speeds than ever before within an NVMe PCIe drive to create new possibilities for consumers and business professionals. The 960 PRO and 960 EVO have redefined performance as the former is able to deliver peak sequential read and write transfer speeds of 3500MB/s and 2100 MB/s, respectively, and random read and write IOPS of up to 440,000 and 360,000. Samsung’s 960 EVO, on the other hand, is able to reach sequential read and write speeds up to 3200MB/s and 1900 MB/s respectively. Side by side, the drive is able to achieve random read speeds up to 380,000 IOPS and random write speeds up to 360,000 IOPS. Additionally, the 960 EVO comes with a three-year limited warranty and up to 400 terabytes written (TBW), whichever occurs first, for the 1TB capacity version. Given below are the pricing details of the highest capacity drives belonging to each model, and they won’t be coming cheap that’s for sure. As for availability, both Samsung 960 EVO and 960 PRO will be available during October 2016. 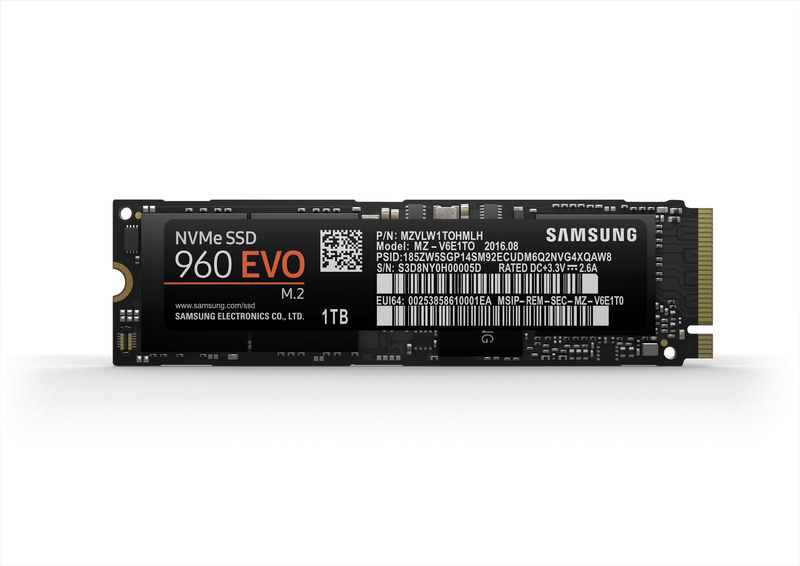 What did you think of the latest NVMe M.2-based SSDs announced by Samsung? Tell us your thoughts right away.